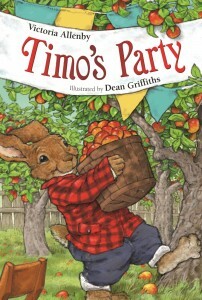 “There is a lot to love about Timo’s Party. The premise and its attentive execution are particularly noteworthy. Timo is honestly anxious about hosting a party but decides to do it anyway. The story provides tools for dealing with intimidating situations (e.g., make a list of tasks) and gives tips on dealing with mild social anxiety as well as navigating social situations (e.g., ask people questions as they like to talk about themselves!). 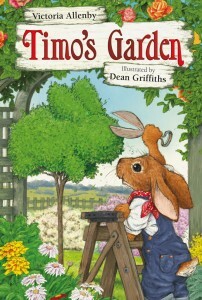 Not only does the book have some good advice, but it embeds that advice in a story that children will want to read…. The illustrations are charming and expressive. The inclusion of news articles and the party invitation are neat additions that not only add visual interest, but help to keep the reader’s attention on the story using environmental text. The presentation of gender was also refreshingly neutral for most of the book (although female characters did noticeably veer towards more traditionally feminine attire when attending the apple festival). The illustrations are placed strategically, complementing the story but not drawing attention away from it. As the reader becomes increasingly engaged with the narrative, the frequency of pictures goes down, subtly increasing the amount of text on each spread. —Sadie Tucker is a children’s librarian with the Vancouver Public Library.